The Russian authorities have launched a full-scale onslaught on the few remaining independent media in Russia, blocking a number of internet sites in the Russian Federation, Amnesty International said today. "The blocking of these sites is a clear violation of the right to freedom of expression. It is an unashamed attack on those who still dare to question the Kremlin-dictated narrative by providing independent, impartial information and offer a platform for free debate,” said John Dalhuisen, Europe and Central Asia Programme Director at Amnesty International. The sites blocked include: Grani.ru, Kasparov.ru, EJ.ru, the blog of the opposition activist Aleksei Navalny on the Moscow Echo radio station website and the Livejournal.com website which hosts many popular blogs. On 1 February President Vladimir Putin signed amendments to the Law on Internet Information which gave the right to the Prosecutor General’s office to block websites that publish calls for activities considered to be unlawful. Holding a public protest, however peaceful and small, without the authorities’ prior permission is among these. Earlier this week, the editor and the director of the popular Lenta.ru website were sacked following a warning from the Prosecutor’s Office over the publication of an interview with a Ukrainian nationalist. Another independent outlet, the cable TV channel Dozhd (Rain), was taken off air in some areas after it put for debate military decisions made during World War II. The sites that have been targeted are those that offered independent information and alternative views, including details of tomorrow’s planned peace demonstration in Moscow over the Russian intervention in Crimea. 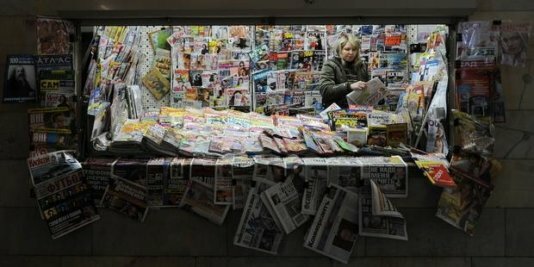 “Russia is tightening the screw on freedom of expression ahead of the referendum which the authorities in Crimea have scheduled for this Sunday. It’s a blatant attempt to silence any voices critical of this initiative,” said John Dalhuisen.